Tiny home security is becoming a major concern amid a recent slew of thefts. 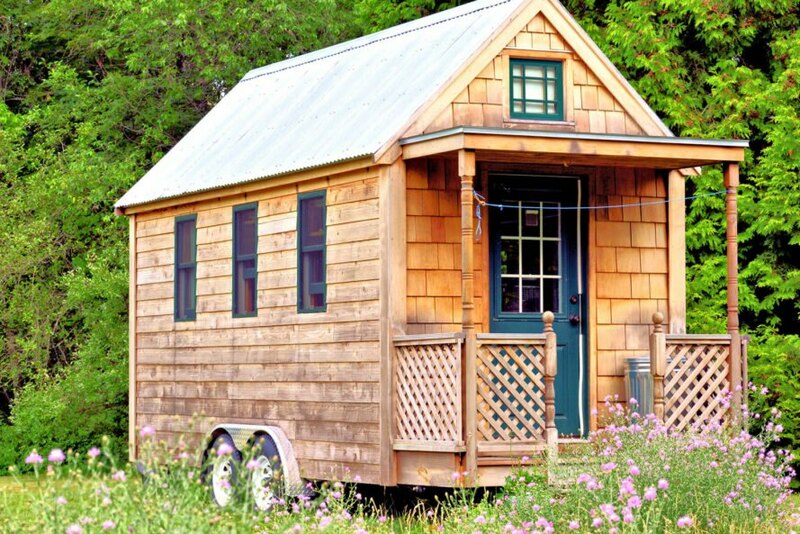 Given the mobile nature of tiny homes, people have been hooking them up to their trucks and driving away with them. The majority of these stolen tiny homes have been recovered, but it is still unnerving to think that people can steal your entire home in a matter of minutes. Luckily, there are plenty of things you can do to keep your tiny home from being stolen. From locking hitches to installing motion detectors and cameras, here are a few tiny home security tips that will give you peace of mind. Related: Is a tiny home right for you? According to Tiny House Blog, the easiest way to prevent your tiny home from being carted away is to buy a hitch lock. These handy devices will stop people from unhitching your tiny home trailer. It also prevents someone from hooking up to the trailer and driving away, which would obviously be just as bad. Speaking of hitches, you can always block access to it entirely. 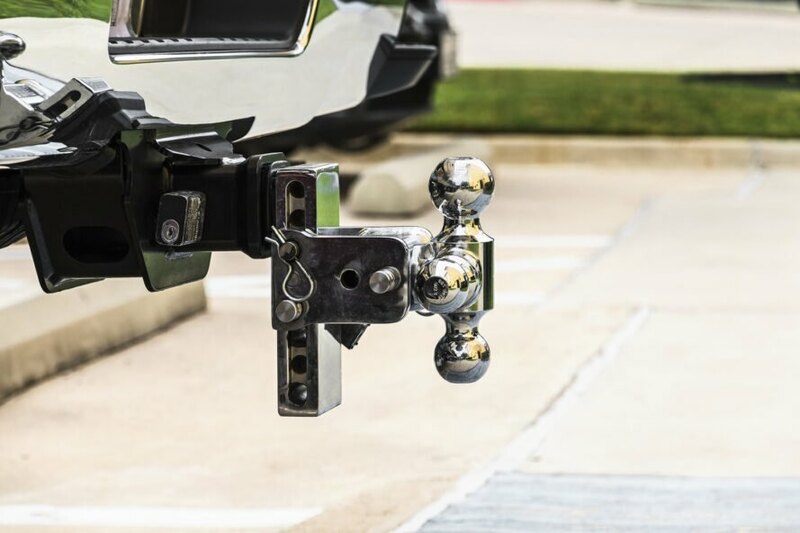 After all, if the trailer hitch is completely blocked off, nobody will be able tow it away. You either buy a hitch block or make one yourself, depending on your budget. Wheel locks are another great way to keep your tiny home from unintentionally rolling away. Traffic police use these same devices for cars that are parked illegally, and removing them without the proper tools is a lot of work. Apart from the key, someone would need some heavy duty equipment to remove the lock, which will deter most criminals. The downside to wheel locks is that they can be expensive to purchase outright. But considering how much you could lose if your entire home is stolen, the investment is well worth it. In the event that criminals bypass your security measures, having a GPS device hidden in the home will lead you right to it. Several companies make tracking devices specifically for tiny homes, so there are plenty of options on the market to fit your needs. The majority of these devices feature a monitoring service that keeps tabs on everything for you. They usually run under $25 a month, which is not bad considering it might be one of the best ways to locate your home if it is stolen. If you do have a tracker on your home, you should always work with local law enforcement when recovering the home. Many criminals are deterred by dogs, primarily because they are either intimidating looking or they create a lot of noise. Either way, having a dog or two on the premises could be what ultimately scares off a potential thief. 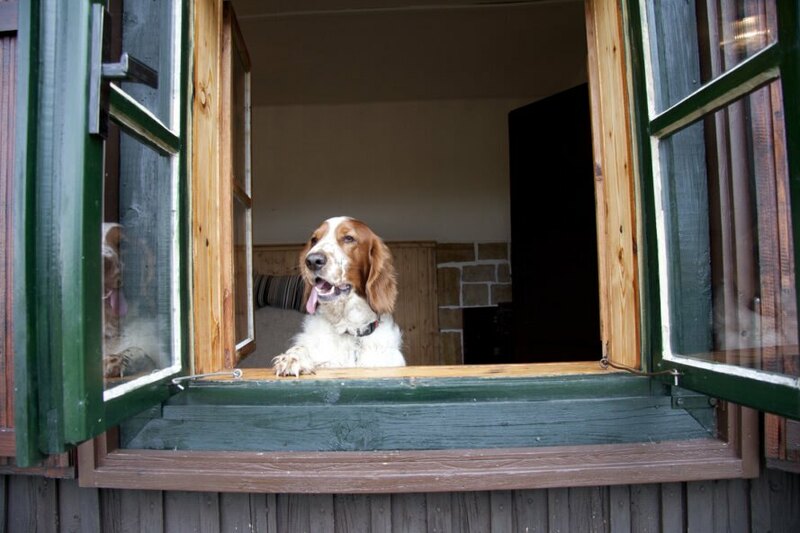 While dogs, both large and small, can help discourage intruders, they should not be the primary line of defense for your tiny home. There are few things that would-be thieves love more than cover, especially when they are scoping out a potential target. Motion lights are great at scaring away thieves or, at the very least, making them think twice about stealing from you. Not only can these lights illuminate potential hiding places around your home, but they can also stop creepers in their tracks. There are plenty of options on the market when it comes to motion lights. For most tiny home owners, battery operated products are the best because they can be installed just about anywhere and do not require any electrical wiring. When it comes to securing your home, Tiny Home Builders recommends installing locks on all exterior doors and windows. You can start by buying for your front door. 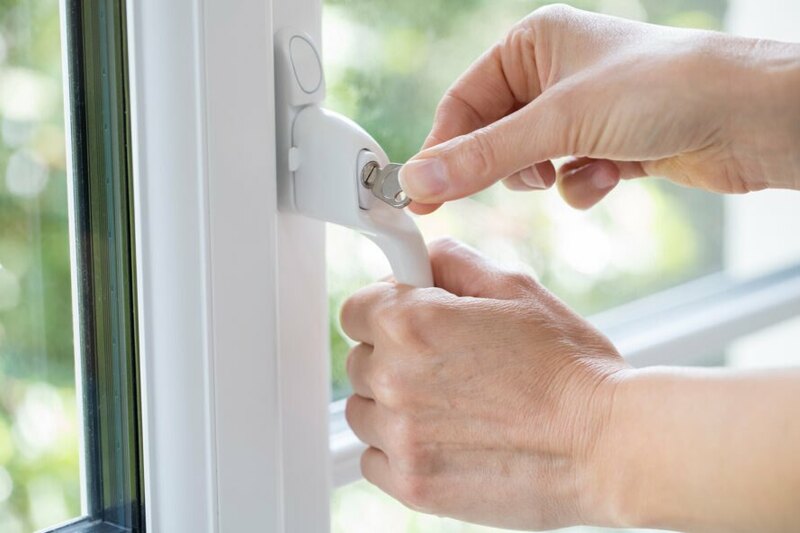 Just about any window lock will do as tiny home windows are usually built better than ones found in RVs and most mobile homes. Smart home technology has made it easier than ever to keep track of your home security. You can even purchase DIY systems that include both motion detectors and sound sensors. These input devices will send you messages on your phone whenever they detect suspicious activity. The one negative to using smart technology is that they require constant power and an internet connection to function. If WiFi is not available near your tiny home, this might not be a viable option for you. 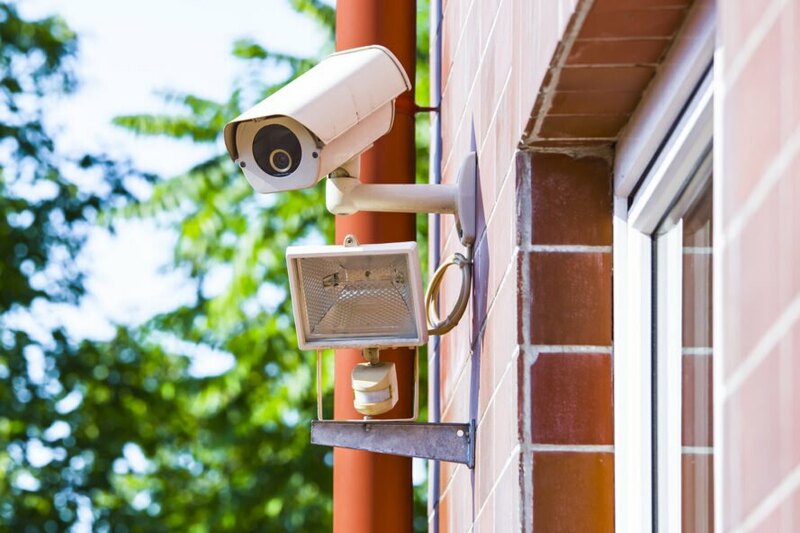 Having visible security cameras around your home is the best way to prevent theft. You can choose a system that either stores video on a local hard drive or on a cloud-based server. You usually get better quality with a local storage system, though being able to upload to the cloud means you can access it whenever you want. If you opt for installing a security camera to bolster your tiny home security, make sure you put up a sign so that thieves are well aware that they are being monitored at all times. thanks for including dogs. i firmly believe mine have kept evil spirits away over the years. dogs are often overlooked but highly effective. Home security is becoming a growing concern for tiny home owners. There are many ways to protect your tiny home with security updates. Using a hitch lock is by far the easiest way to keep your home from being stolen. 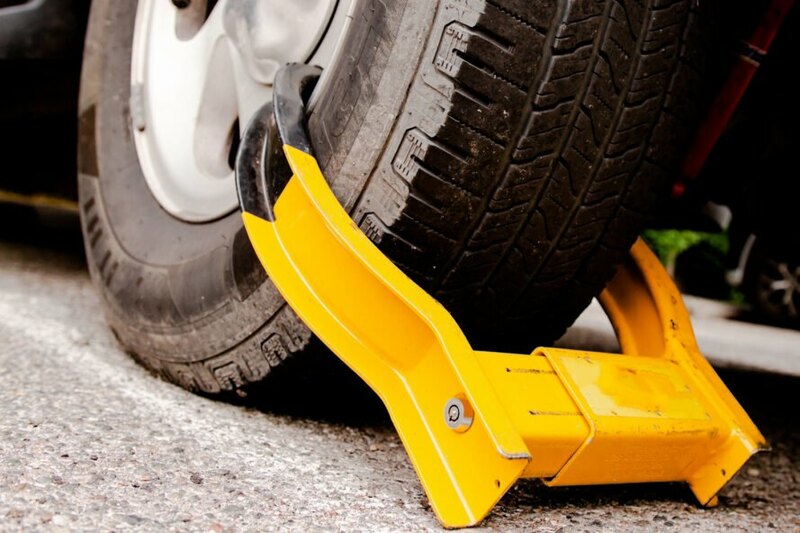 Wheel locks are another great way to keep your tiny home from being rolled away. Dogs are also a great way to deter thieves from your tiny home. A good deadbolt system for your front door or window locks are also a great idea to implement. There is no safer bet than installing security cameras outside your tiny home.